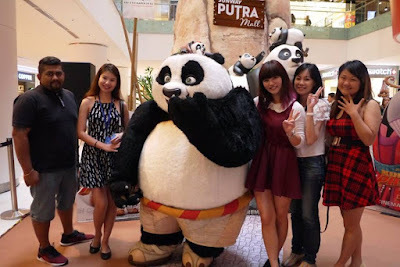 So last week we had a day out with Po the Panda at Sunway Putra Mall, KL. The shopping malls is just next to PWTC made it easy accessible by car or public transport. At the event we witnessed the children from Yayasan Chow Kit (YCK) spent a fun day out with Po. 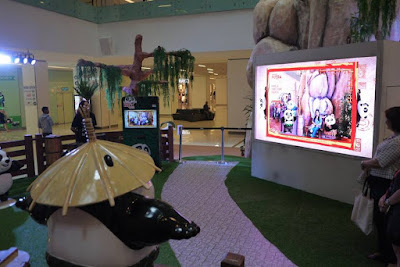 Nestled among the majestic mountain range, the children had a grand time re-living the world of Kung Fu Panda. 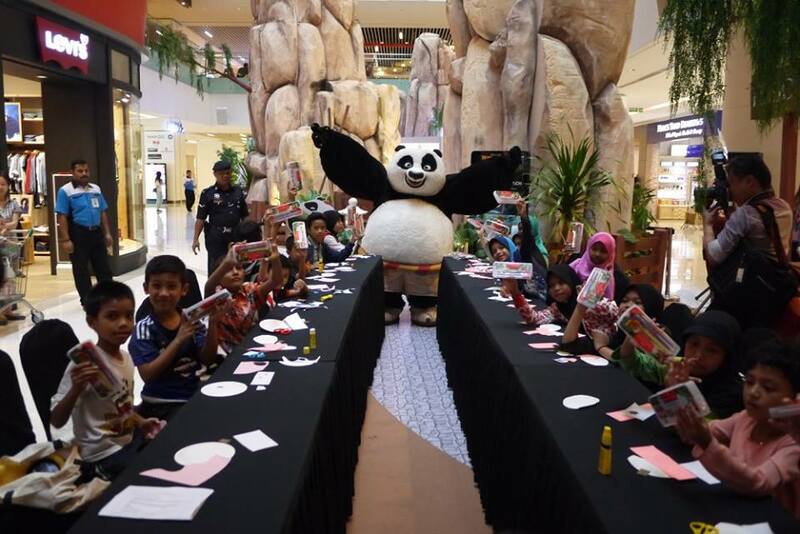 Po’s visit coincided with the school holidays, lending an opportunity for the children to meet their hero in person. The big cuddly panda was obliged to stop and took pictures with his adoring fans. Giving every kid plenty of reasons to smile, laugh and create amazing memories. 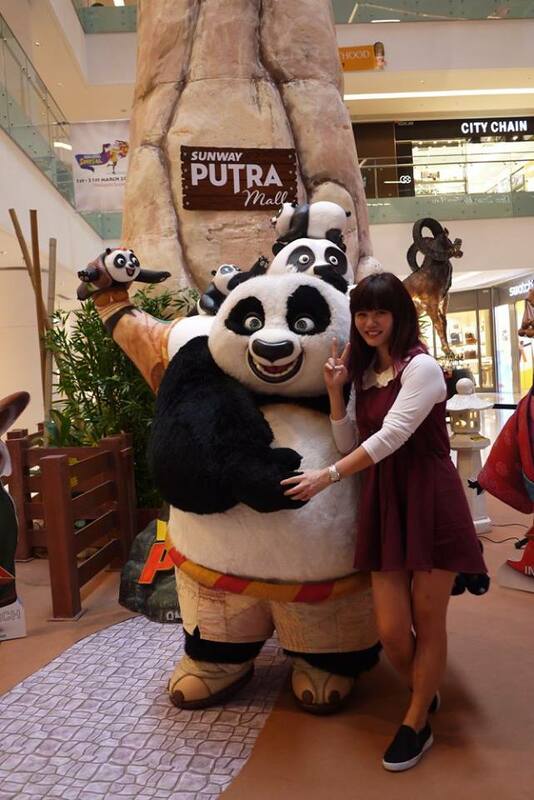 The fun-loving cartoon character even unveiled his signature Kung Fu pose to the kids, such a cutie! 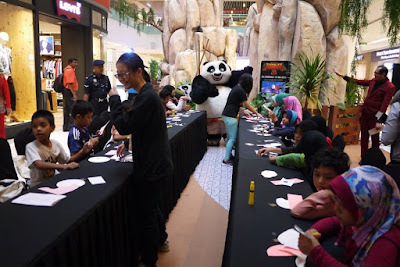 Shortly after, the children were treated to hone their artistic skills in Bao’s Arts and Craft worshop facilitated by The Parenthood, Malaysia 1st London Street Family Park, where they were taught how to assemble creative art pieces that literally pop up using special pieces of coloured material. The 25 children from YCK, age from 7 to 12 years old, could not contain their excitement when meeting Po who proceeded to entertain them with even more playful actions and even helped them out during the session. Not long after that, it’s time to shake things up and party to some unbeat music in Mei Mei Zumba dance class. Following the easy-to-learn moves, the children had lots of fun dancing to the beat of the lively music. 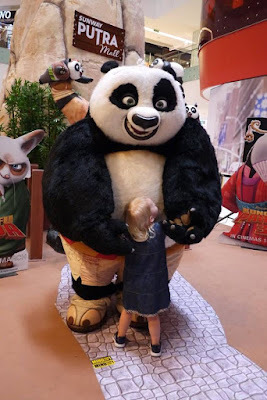 The day was not over as the children were also treated to watch the movie, Kung Fu Panda 3 at TGV Cinemas and thoroughly enjoyed themselves with the action and comedy of the animated characters on screen. In conjunction with the school holidays, shoppers would get to enjoy free parking for the first 3 hours while HSBC card holders would enjoy free all day parking with any spending at Sunway Putra Mall. 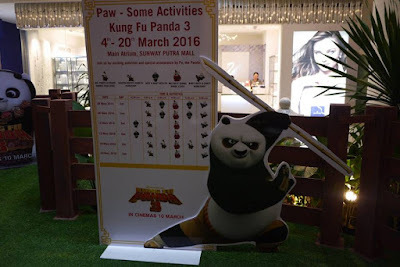 There’s also Kung Fu workshop and noodle eating competition happening from 5th Mar to 20th Mar. Shoppers could also redeem a Panda tote bag and a pair of TGV Cinemas tickets when they spend RM 250 (RM 200) in max 2 receipts at the shopping mall.